Look, I know I'm not a doctor. Don't pretend to be one, unless you're my son. But I'm pretty sure there is a least 100 doctors out there that would back me up when I tell you this: You need to eat more cilantro. I mean, the internet backs me up, as it should. 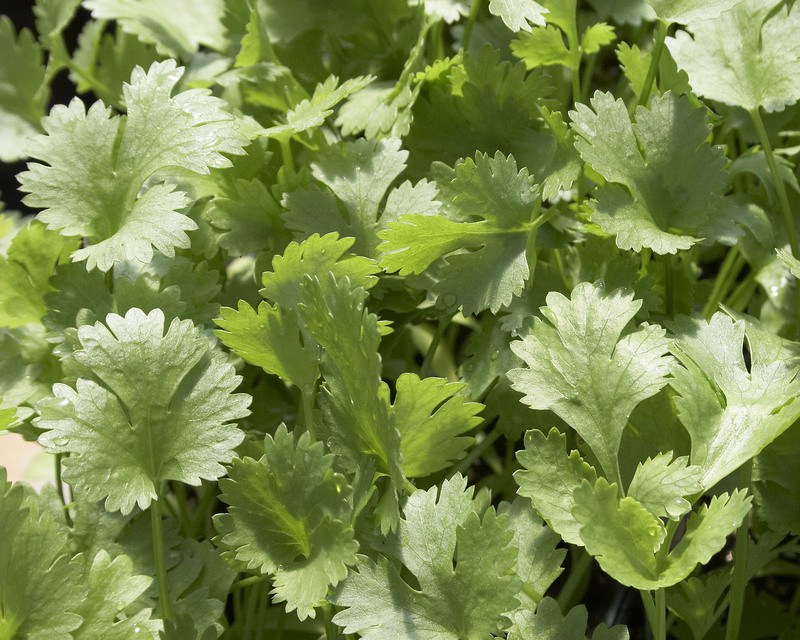 Cilantro is even a top contender to help one lose weight. That's legit. Listen, beyond the numerous health benefits of chomping down on some fresh, leafy cilantro, the bottomline is it's absolutely scrumptious. So damn tasty, we're offering two different varieties so you can get your fill. Naturally, Martha has a full page dedicated to cilantro recipes. I'm school-girl giddy to try her Jalapeno Vinaigerette, since I love all things hot. And of course, this Mango Salsa would be a big bad hit at my next garden party. I can always count on Thug Kitchen to sass-i-fy my taste buds. 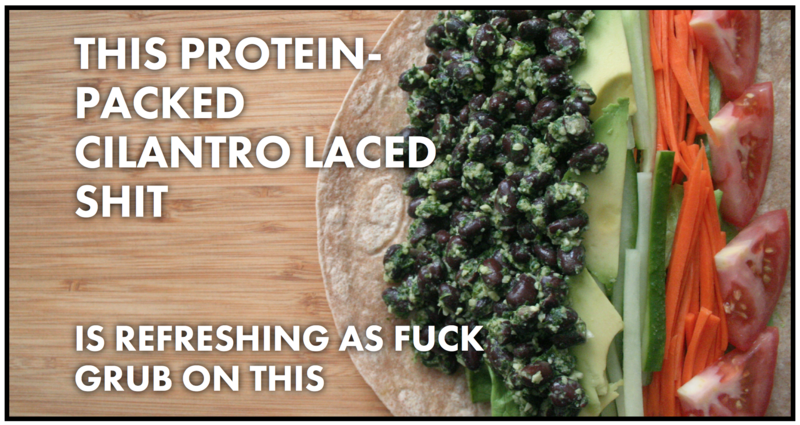 Try their Black Bean and Cilantro Pesto Wrap recipe here. Or, maybe their recipe for Fresh Corn and Herb Pasta Salad will fill your belly. My personal favorite is to fire-up the grill, throw some veggies in a tinfoil packet and cover them with cilantro. I mean, C O V E R them. So...is your mouth watering yet? No? What's wrong with you? Fine. You like Pinterest? Go re-pin the crap out of these cilantro-loving recipes. I'm not about to reinvent the wheel, here. Or regurgitate what someone else has already said. I'm just going to link-love the heck out of helpful articles. 1. Learn how to start your seeds inside, because I know you're desperate to get your fingers dirty. Here's that article. 2. A video (with kickass intro music) from The Small Town Garden, showing how to start cilantro seeds outside, right here. 3. 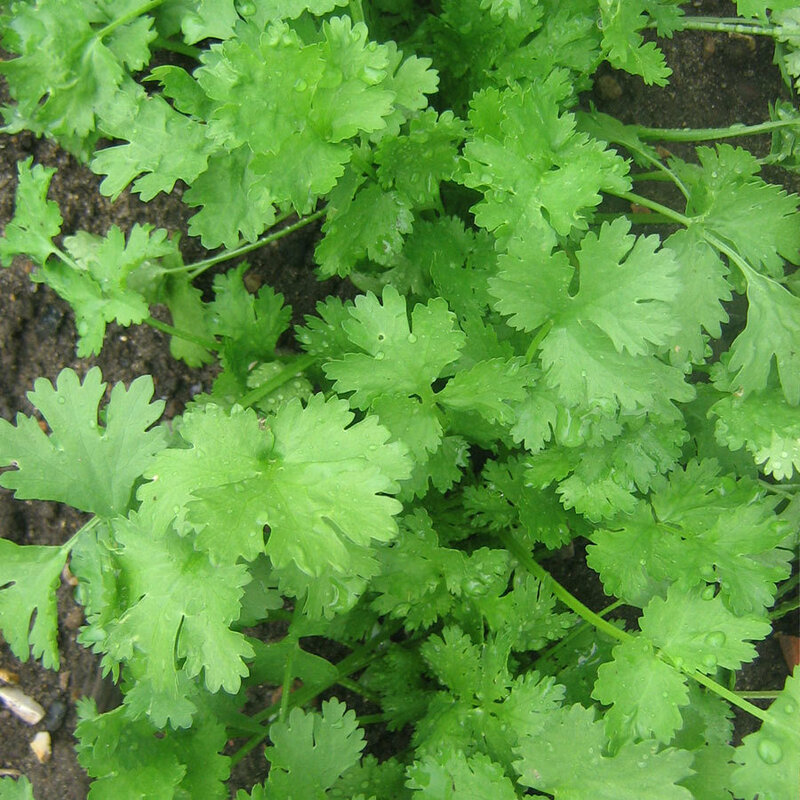 The best damn way to grow cilantro, once its sprouted, right here. <<< Seriously, this is how you do it. Just be sure keep your big bad cilantro protected from extreme heat, or you're not going to be enjoying it sprinkled all over your corn on cob, come July. That'd be a real tragedy.